How many times have you taken people through some kind of process to discern their spiritual gifts, passions, skills or strengths – only to discover that they had not budged in pursuing their calling from God? When I first started out in ministry my role in the college group that I was serving was to help people understand their spiritual gifts. It did exactly what it was designed to do. People with a gift of service found a place to serve. Over and over again I helped people find how and where they could use their gifts. What I realized is, that this is a good starting point but not how people naturally thrive long-term. Now, I see that the process needs to be embedded in a coaching relationship, providing feedback on an ongoing basis. When the feedback loop is provided, the person has a chance to reflect on what they are doing, make adjustments then focus more and more on what they enjoy most or – passionate about. I remember one person that I worked with for an extended period is now thriving in a church planting ministry. However, that support is often-times missing for people who are discerning their way in ministry. The solution is to have leaders who know how to support people in their unique, personal calling process. One group that we really, really need to help is the up and coming generation. Call them what you want, the younger generation are hungry for this type of attention – that is one reason we created the Personal Calling Collective, LIVE online learning community. To help you learn how to support followers of Jesus to discern what He has called them to do with their spiritual gifts, passions, skills, strengths all in the context of their life journey. 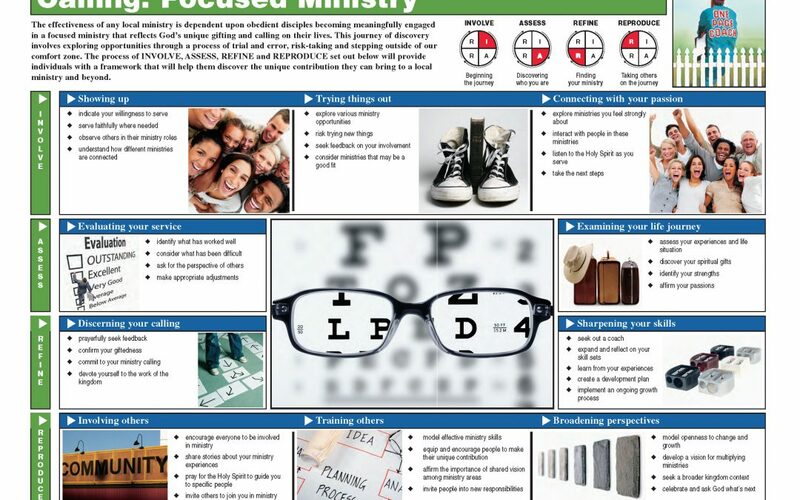 One of the tools that is central to the Collective is the Focused Ministry Coaching Guide & Storyboard. It provides the framework for the self-discovery process. What I like it that it describes the process – allowing you to utilize tools that you are most comfortable with to assess a person’s spiritual gifts, passions, skills, strengths, etc. There are so many available today and every leader has their favorites. Who do you know that might benefit from being a part of an exciting group of leaders, working hard to help people discern what God has called them to accomplish? The start date is June 24 and the Collective includes four, 1-hour group sessions with six, 1-1 coach appointments; for a total of 10 contact hours. Please reach-out to me direct and let me know if you have any questions. You can schedule a time to meet by CLICKING HERE.